The next day was more wine tours beginning with Qubel. The winery employed an American woman (Melissa?) to handle Marketing and PR who met us at the hotel and rode with us to the winery. Along the way she and Jaime explained some interesting facts about the D.O. Madrid. Since Qubel is an organic winery, Jaime pointed out that Spain actually leads the world in organic goods. However, during Franco, the focus of wineries was on quantity and production and in Madrid at least, quality winemaking has only been a priority for the past decade or so. 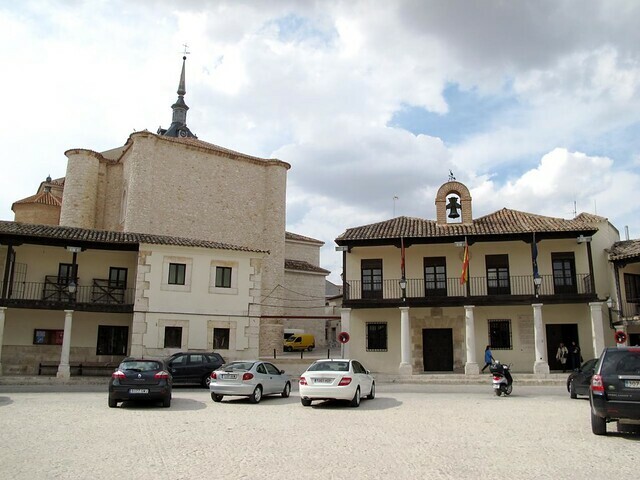 In fact, most Madrillenos are largely unaware that wines are being produced in their hometown, preferring the traditional selections from Rioja, Ribera del Duero and the like. 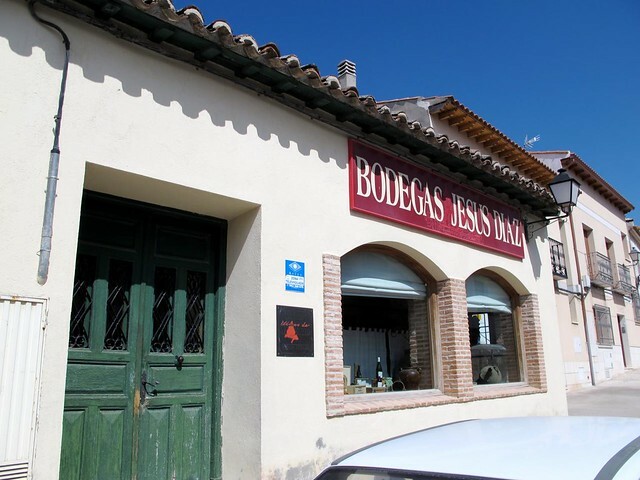 We arrived in a small, quiet village where the husband and wife team of Carlos and Estrella specialize in the boutique production of organic estate wines by hand. Carlos was a former Iberian pilot and Estrella was a mayor before they got into the wine business. Besides the friendly couple, their American marketing director and a couple of girls who poured win in the enotecha, it didn’t seem like anyone else worked there. The town was more or less dead besides the bodega and there was nary a restaurant or commercial enterprise of any sort that we could see. However, the Qubel winery was a lovely, clean establishment with a tiny facility of maybe 3 vats and a bottling area the size of a closet and Carlos’ office / laboratory where he perfects his craft. The most discernible difference between the Penedes wineries and Qubel was that here we were speaking with the man himself, not a hired hand. Carlos was incredibly gracious and took the time to explain the ins and outs of his business even as he was preparing for a large fulfillment that arrived shortly after his spiel. 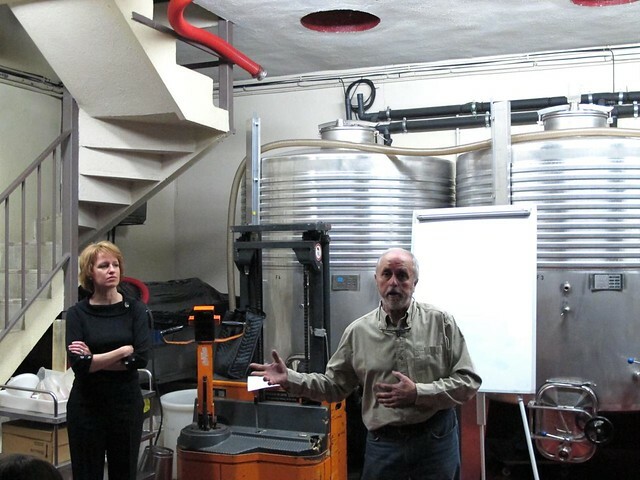 During his talk he explained the science of winemaking, both the vegetal biological process of maturing grapes and the microbial process of fermenting them into wine. He contrasted the big wineries with smaller operations such as his own based on several dimensions of the winemaking process. 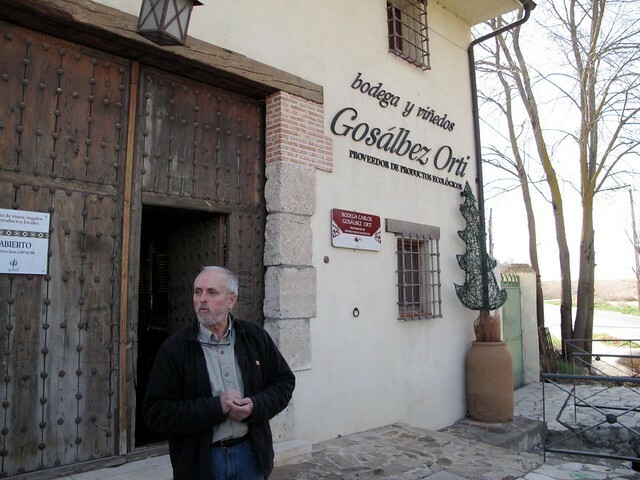 In smaller wineries such as his they don’t use irrigation and employ biodiveristy as a defense against the elements and pests that threaten his crops versus harmful pesticides. He grows almonds, olives and other plants in addition to wine which acts as a shield in its own way. When it comes to harvesting, smaller wineries tend to do it manually, paying migrant farmers to pick the grapes off the vine while large-scale operations typically use machines to do the dirty work. Once they are picked, Carlos transports his grapes in smaller sized boxes whereas the big boys transport them in bulk. The bulk method results in premature fermentation as the weight of the grapes squeezes the best juice out and they begin the fermentation process in the heat. On interesting facet of the way Carlos and other smaller winemakers approach their craft is by allowing the sediment of the wine called fines to remain versus performing a perfect cleaning of the bottles which strips them of polysaccharides that have influence both on the flavor and mouth feel of the wine. After learning the process, we joined Carlos’ wife, Estrella in the enotecha where we were able to sample several of the Qubel offerings. The first was a 2010 white wine called Myrit made from Albillo grapes and a certain other varietal that may not be 100% koshering the region. It had a green tint to it with some visible sediment and a piny, citrus bouquet with a hint of grass. It was an un-oaked fresh, young wine with a clean finish. After that we moved to a couple of reds, starting with a 2010 Revacion made from primarily Temperanillo with some Syrah and a tiny blend of Merlot, Cabernet and Malvar. It too was un-oaked with a deep cherry color and a blackberry nose that is more of a BBQ wine. We finished off the samples with a 2004 Nature with a similar composition as the Revacion but with a considerable amount of sediment and an almost rusty-reddish hue. It was the most complex and smelled quite alcoholic with some heavier tannins and a slight bit of sourness to it. I probably would have enjoyed it more with some fatty meats to cut through the tannins but it was certainly interesting, if nothing else. From there we traveled to the Jesus Diaz winery, another family-owned that has a deeply-rooted traditional way of making wine. 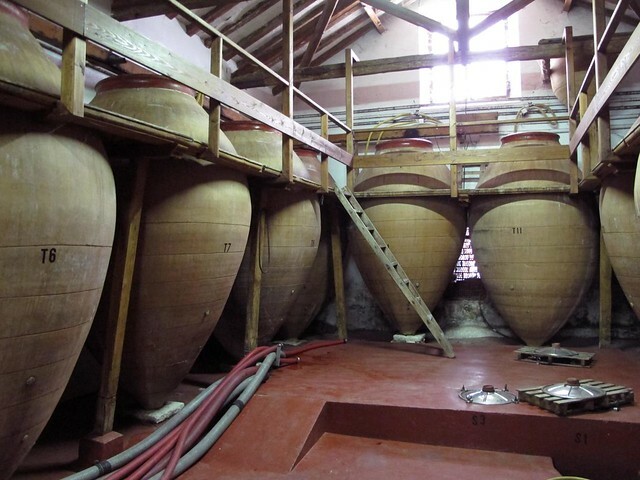 The most astonishing thing about the winery is the giant clay vats that were handmade from clay from the area around 100 years ago. One interesting thing about their process is that they do not press their white grapes but rather allow the weight of them to naturally extract the juice. 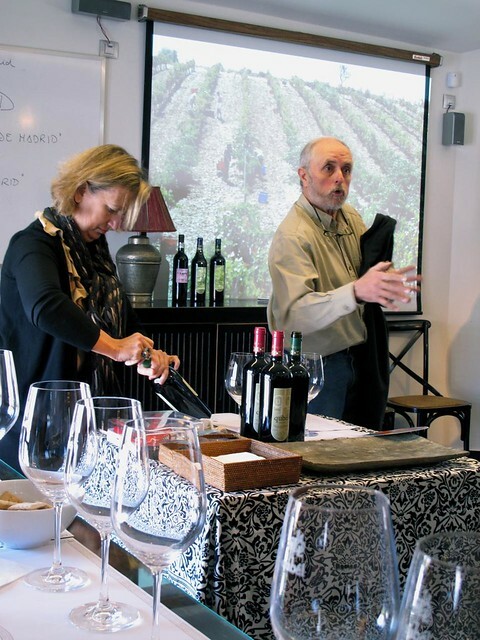 They keep a slim inventory and bottle on demand, usually about 12,000 bottles at a time and bottled approximately 180,000 bottles at their modest winery in 2011. When they do buy grapes from other growers they keep their reach to within 10km to preserve the integrity of their region. On the premises they maintain a small vineyard for experimentation but the best part about this stop were the caves below the winery that date back from the 15th century. They stay a constant 11 degrees Celsius to facilitate the barrel aging process. During our tasting we sampled three varieties, none of which had a name beyond blanco, rosado and tinto, but rather let the wines speak for themselves. The first was the blanco made from Malvar grapes. It was golden in color with an apple bouquet and an odd combination of acidity with a bitter aftertaste. The rosado was made from Temperanillo, boasted a dark pink color and a heavy berry nose and taste which was crisp and refreshing. The tinto was a pleasant surprise and quite good for only retailing at 2,60 euro. Also made from Temperanillo, it was light red in color with a strong, jammy berry nose with some salt tones and a slightly sweet taste with light tannins. We made a few more stops to eat and enjoy the scenery before making it back to the hotel where another siesta was well in order. That night I made a pilgrimage to Nuestra Vision, a hole in the wall dive that is home to the Ramones Fan Club Madrid. The owner mumbled to us in incomprehensible Spanish as he showed off his record collection and made us hold shots of cheap Scotch in our mouths for as long as we could. We played nice until he retired to a stool behind the bar and passed out and then made our egress.